Victorian Steampunk Hat "Lady Lovely". It would make a great riding hat or wedding hat! It's designed over a soft black wool hat. The hat band is Purple silk. 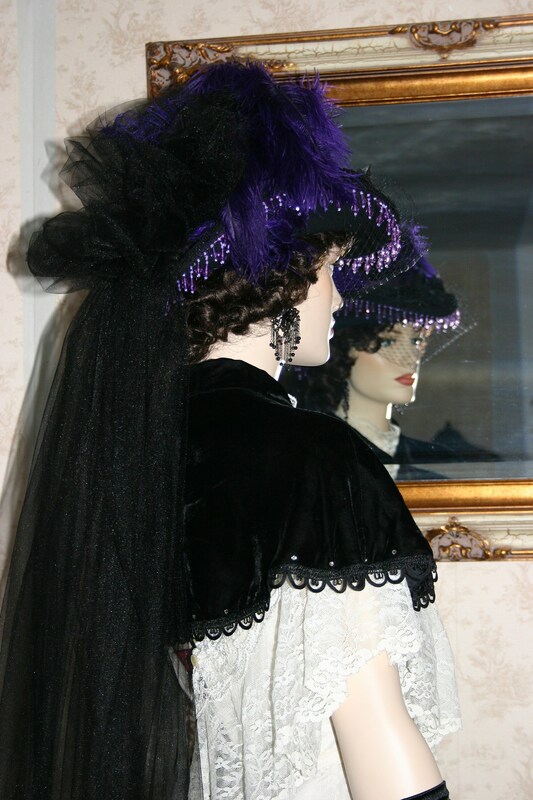 The front of the hat is accented with two petite black silk and organza millinery roses and petite black coque feathers. 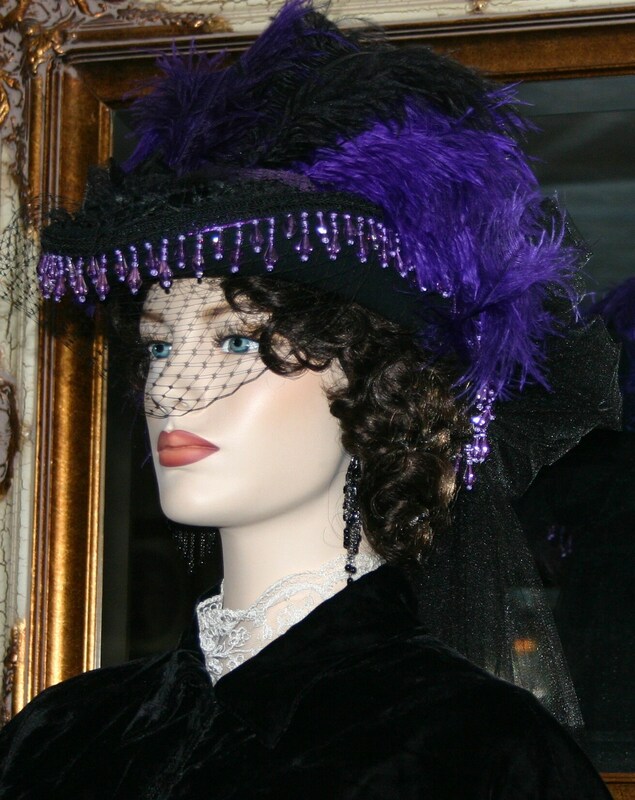 The edge of the brim is adorned with beautiful purple colored French Style teardrop beads and black French style gimp. 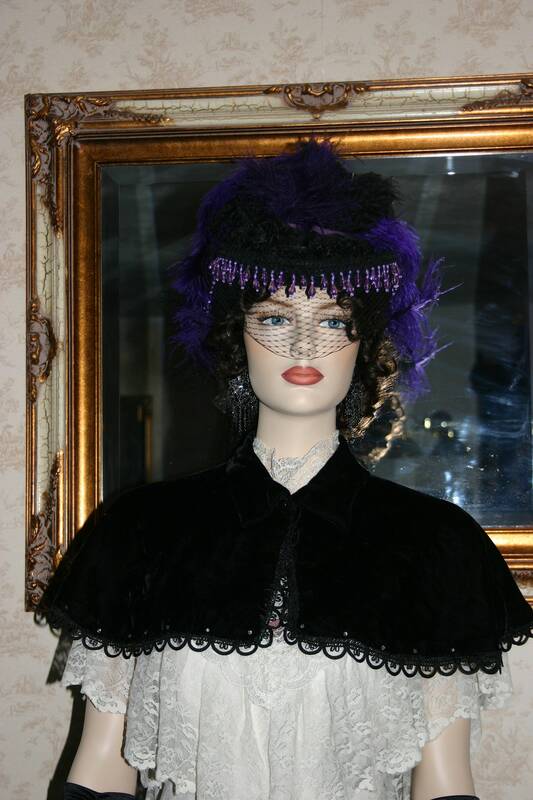 A dainty black veil gives the hat mystery. 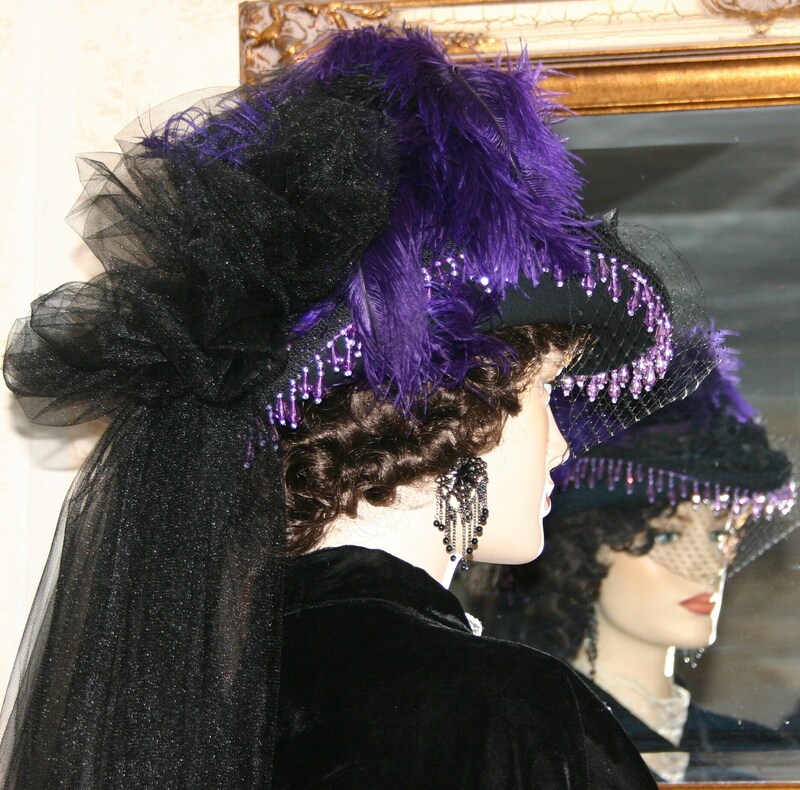 The crown of the hat is covered with purple and black feathers. The back of the hat has a beautiful black crystal tulle bow that cascades down the back past the waist...nearly to the knees. This hat is very elegant and perfect for any occasion!